Brimstone missiles have been used by Britain’s Royal Air Force (RAF) to hit key Islamic State (IS, formerly ISIS/ISIL) targets in Syria for the first time, Downing Street has confirmed. The bombings on Sunday targeted an IS vehicle and tunnels near the town of Raqqa, the group’s purported capital. British tornado jets also struck the Omar oilfield in the east near the Iraqi border, dropping three Brimstone missiles. “As part of the wider coalition campaign against Daesh [IS], Royal Air Force aircraft have targeted the terrorists with Brimstone missiles near Raqqa in Syria and have conducted further airstrikes in Iraq,” Downing Street said in a statement. Brimstones are radar-guided weapons designed to hit smaller, precise and moving targets. Defence Secretary Michael Fallon said the UK is “playing a key role” in the fight against IS. “Britain is playing a key role in the fight against Daesh whether helping Iraqi ground forces retake Ramadi or by striking targets near its Raqqa heartland,” he said in a statement. “Our Reaper drones have now flown 1,000 missions against Daesh and we will maintain this tempo with RAF pilots flying day and night over Iraq and Syria. The Royal Navy continues to support our allies as HMS St Albans will shortly join the Charles de Gaulle aircraft carrier group as we unite to destroy Daesh. 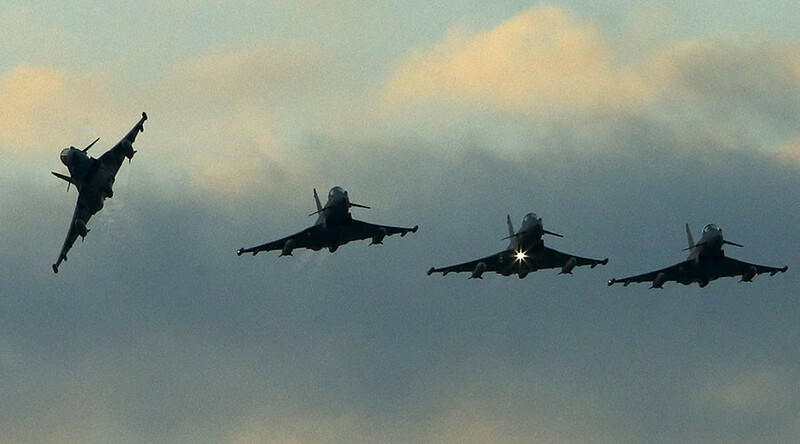 Britain extended its role in US-led airstrikes from Iraq into Syria in early December. Prime Minister David Cameron claims bombing IS in Syria will make Britain safer. However, Labour leader Jeremy Corbyn opposes the PM’s stance, arguing airstrikes will only make Britain more of a terror target.